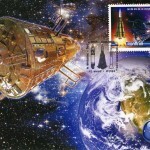 In 1958, the United States of America launched the first space mission, Explorer I that was to reveal a fundamental discovery for space explorations: due to its magnetic poles, the Earth is surrounded by a radiation belt, thereafter called “Van Allen”. 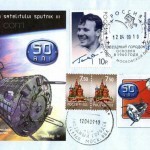 The Sputnik program implied a series of space missions no human aboard, conducted by the Soviet Union, during late 60´s and its purpose was to emphasize the feasibility of artificial satellites. 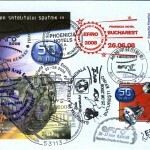 The name “Sputnik” actually means “satellite” or “travel companion”. 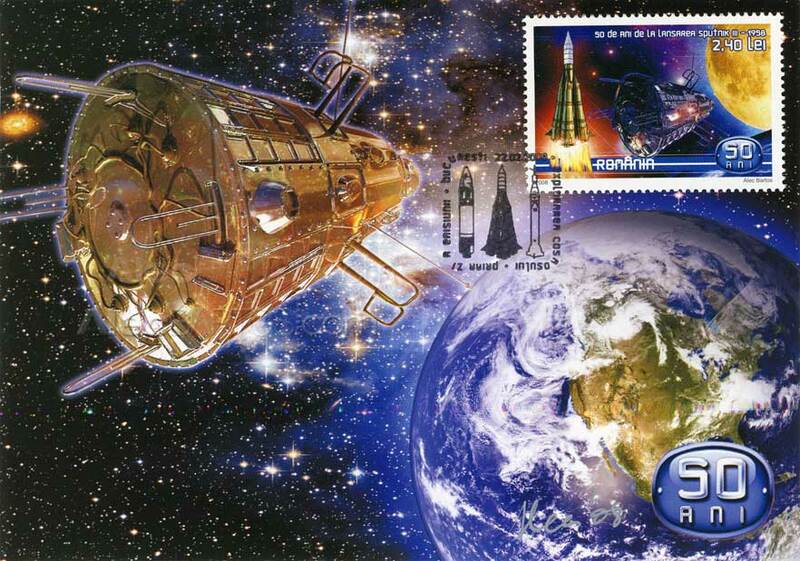 The first attempt to launch the Artificial Earth Satellite Sputnik 3 on February, 3rd 1958 was a failure but the second one, dating May 15th was a real success and managed to transport an important number of devices to be used in geophysical research into space. 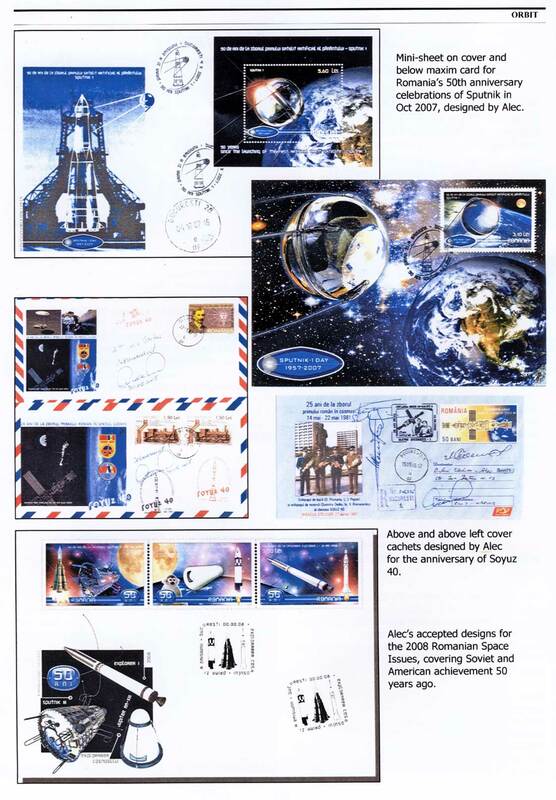 The magnetic recorder on board damaged and any research data registration on Van Allen radiation belts, just four months previously discovered by the American satellite Explorer I, accordingly became impossible. 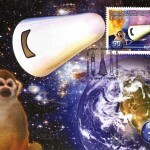 In December 1958, the United States Army launched the Jupiter AM-13 missile having monkey Gordo aboard. 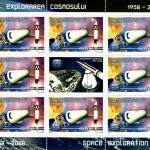 This mission was devoted to biological research. 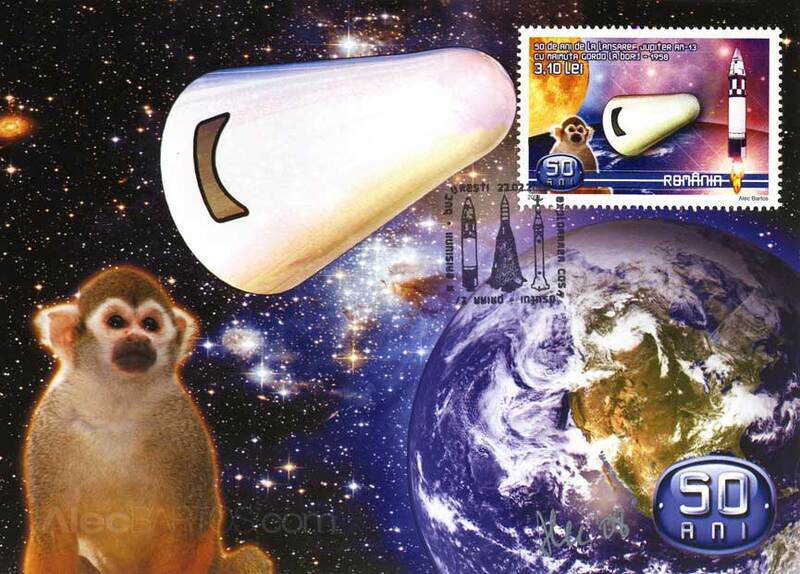 Unfortunately, upon landing, the monkey died because of defection of the parachuting system of the missile. 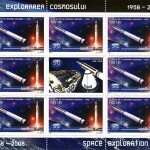 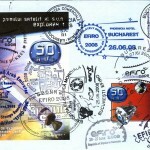 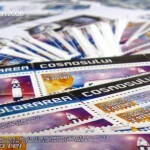 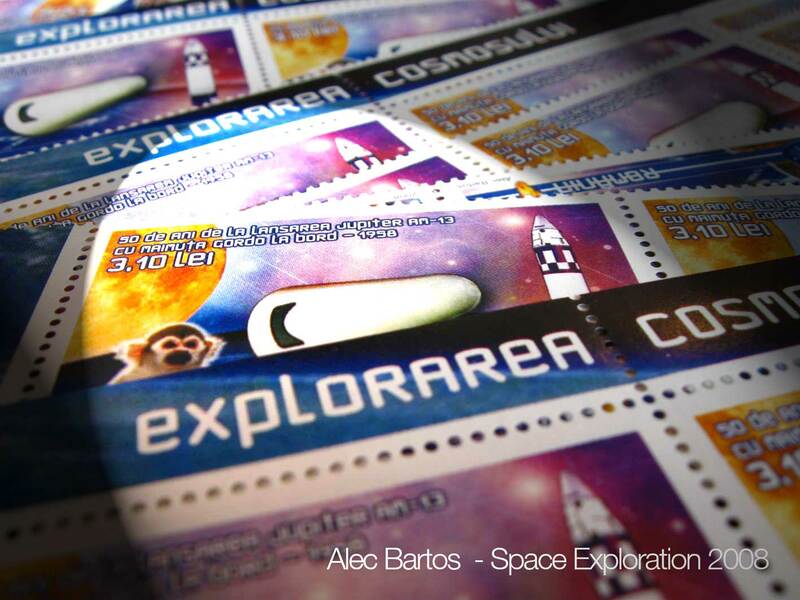 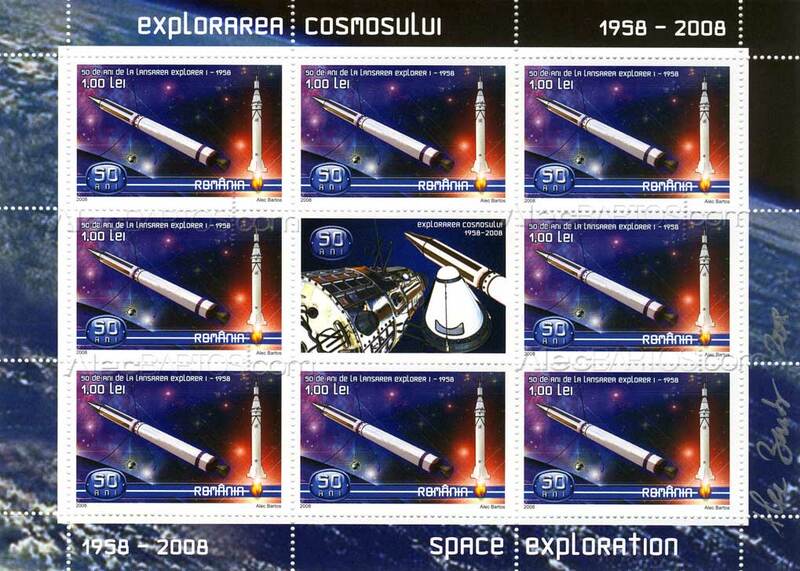 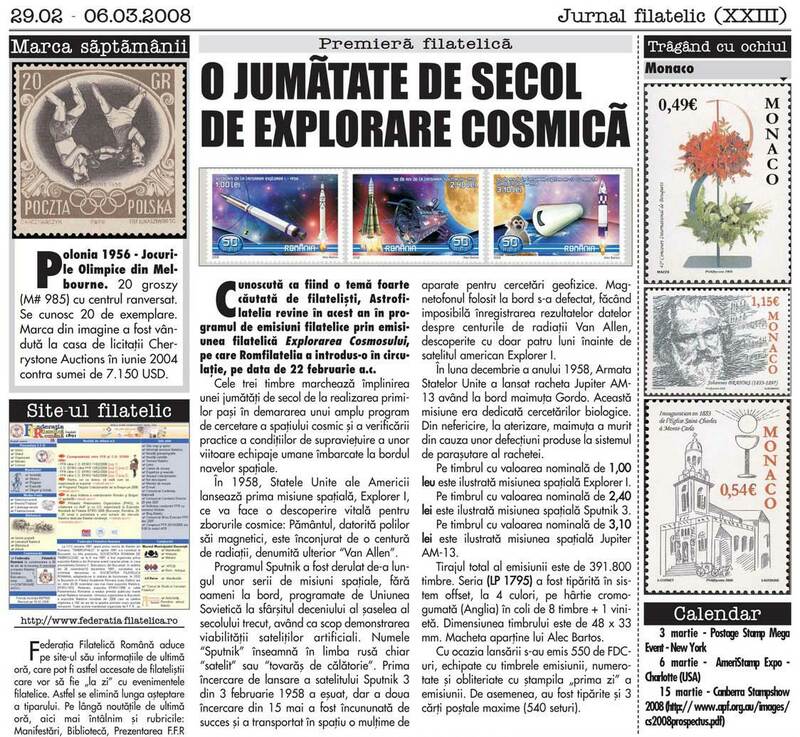 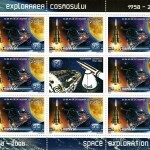 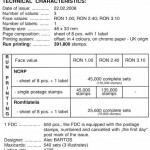 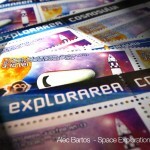 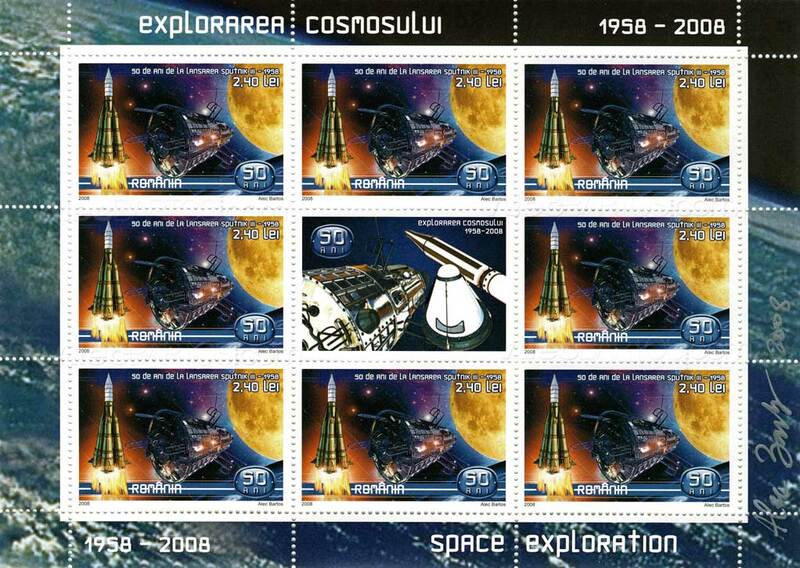 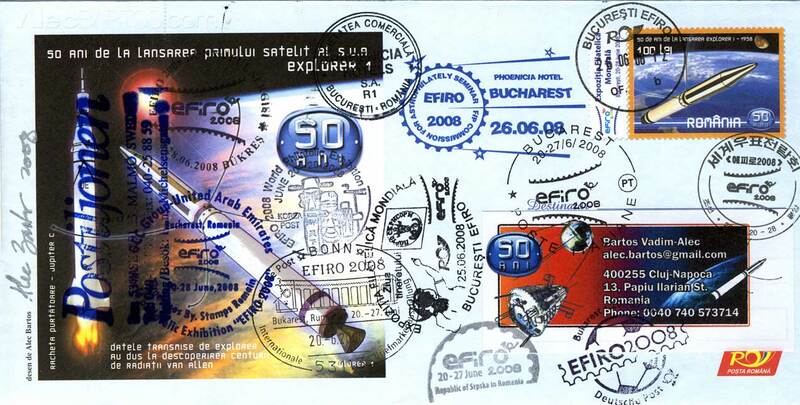 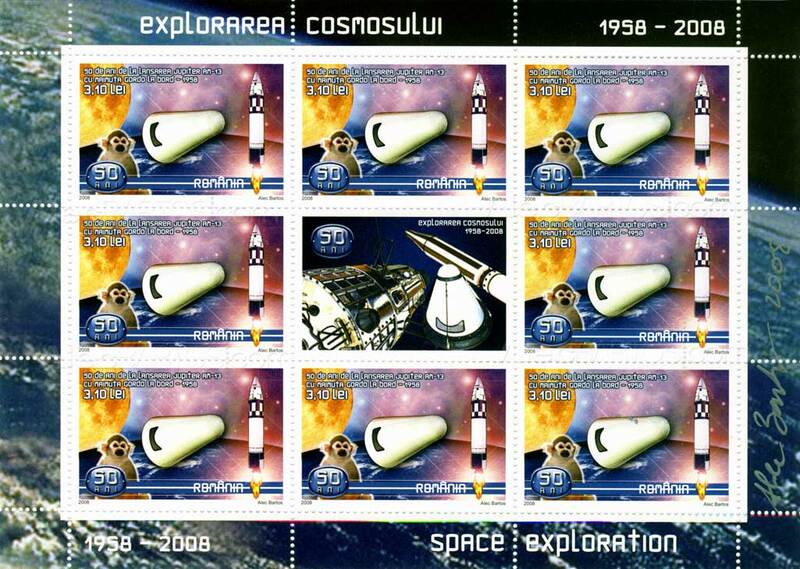 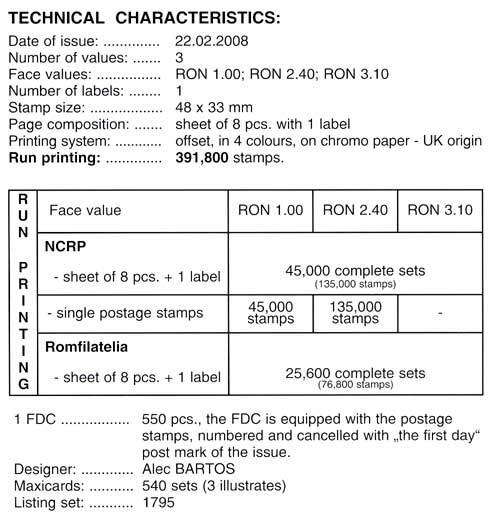 The stamp with the face value of RON 1.00 presents Explorer I space mission. 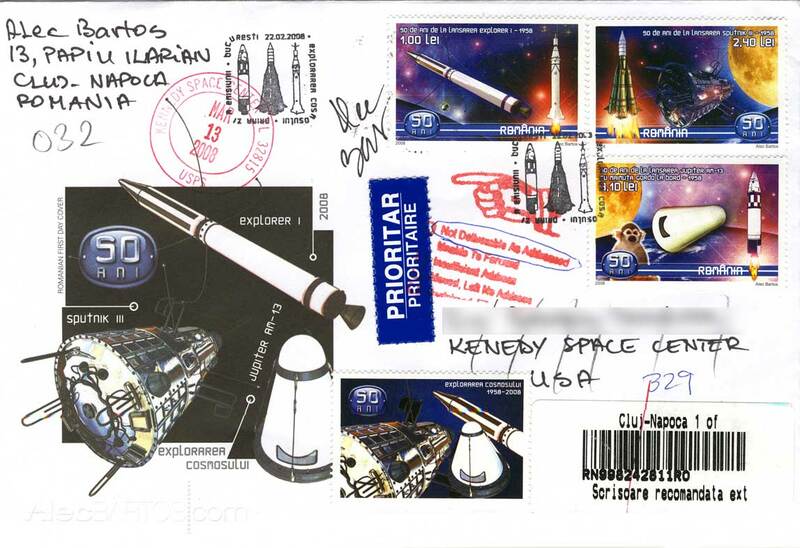 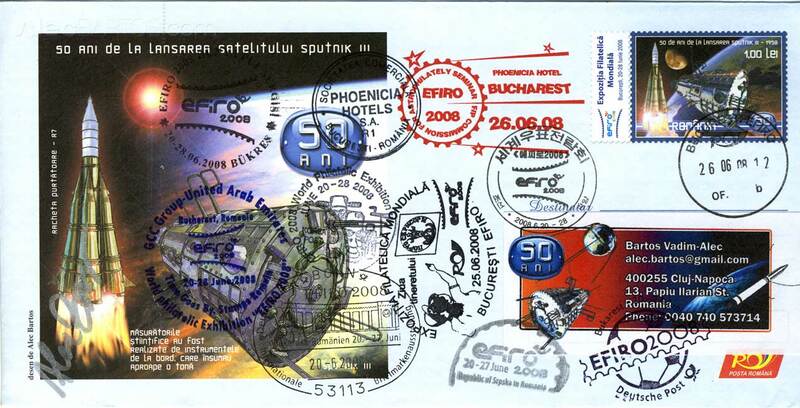 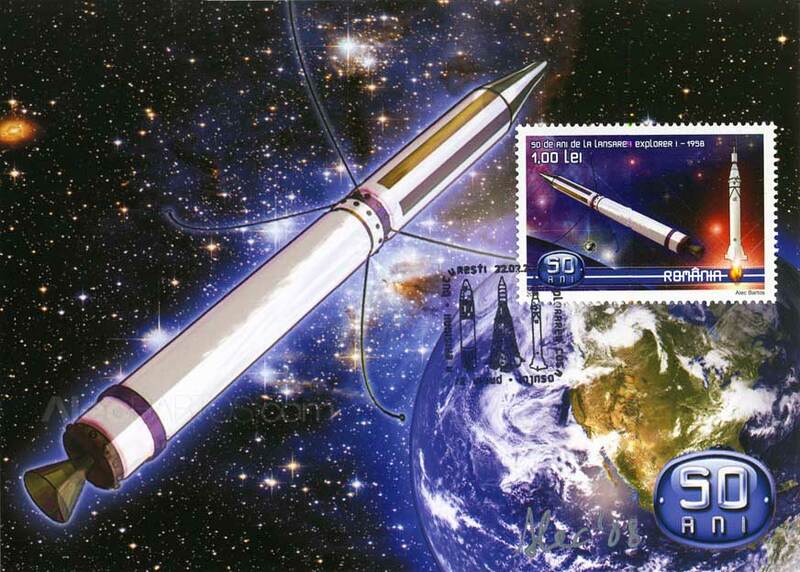 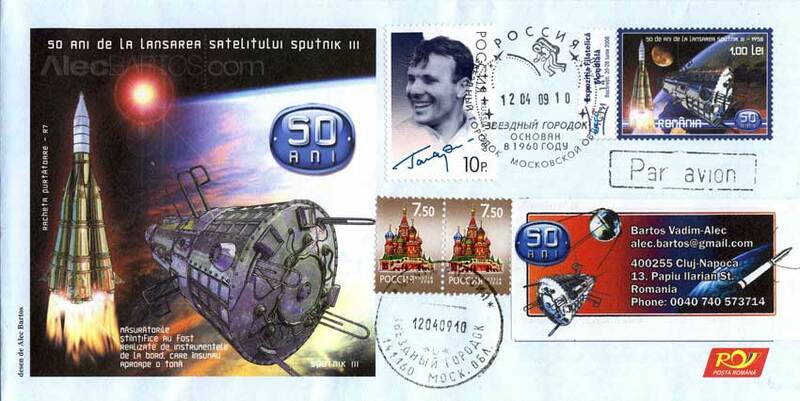 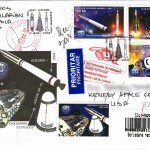 The stamp with the face value of RON 2.40 presents Sputnik 3 space mission. 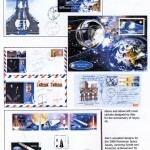 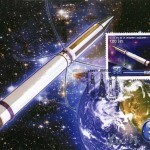 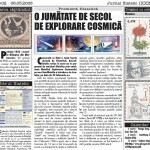 The stamp with the face value of RON 3.10 presents Jupiter AM-13 space mission.